I snapped this picture of a bumper sticker. More importantly it costs your self-image because education means making oneself vulnerable, opening up to new information, new ways of looking at old pictures. 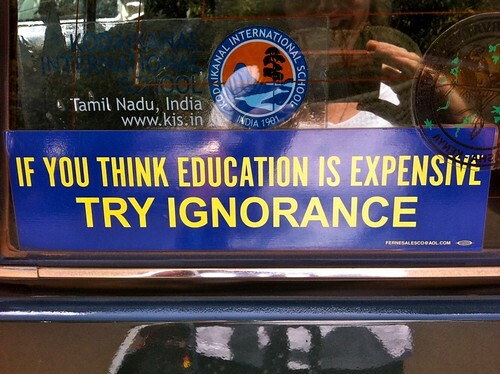 Education means knowing you don’t know it all. Education means allowing question marks to dance. Education means inviting exclamation marks – to ‘get it’ in new ways, to see the light.